Willy’s a moron, do we really want to save him? Old Willy’s been working at the old mine for a good long while, and though it’s hard work, he’s always been cheerful and upbeat! In fact, he thinks he’s found what could be his ticket to retirement, so he’s gotten a head start on the day, sneaking into the mine early to get a jump on extracting some gold! Unfortunately, he’s caused a cave-in, trapping himself inside. It’s up to you to save him, but you’ll only get an hour since Willy’s rigged some dynamite to explode! Mine Shift was another interesting theme, and the set looked very much like the mine it was supposed to represent, but we were given two extremely poor lights, both of which needed new batteries. We were eventually given said batteries reluctantly after being told they were, “supposed to be dim,” but one still had a short, making our experience immediately frustrating. Not a great start. The technological interactions provide good feedback letting you know when an item is in place and tend to work smoothly. Set design, for what we could see, was well done, feeling like an old prospector’s mine, but at the same time was not overly claustrophobic. The theme was original, and bits of story could be found, accompanied by Willy’s commentary. When puzzles were good, they were very well implemented, but as we came to find out, the bad really started to compound upon itself as we got further into the game. Reset errors in this room really tanked our experience, and had we not been able to use props to “glitch” past the roadblock, this room would have been rendered unsolvable at best. What really irked us about this is that when it was noticed that a critical piece we needed was located behind the lock it was intended to open, the staff member simply mentioned that that was, “interesting,” failing to offer any sort of recompense or, at the very least, an apology for the blunder. Funnily enough, the room was technically “won” one minute in when I found the box that contained our goal already open. I was initially confused as to why I needed this item until upon a second look at the box, the reset failure became clear. Puzzles made little sense thematically because, as one teammate mentioned, “If Willy is such a weapons-grade idiot, how is he setting up all these logic and math puzzles?” Though there are several technological interactions, a lot of puzzling is presented via laminated handouts, which was highly uninteresting. One of these aforementioned puzzles has two possible solutions, with no way to rule out which is correct, causing an unnecessary guess and check element. Last Second’s love affair with black light overuse became wholly apparent beginning in this room, leading to groan-worthy “puzzles” and smacked foreheads. Some puzzles within had obvious clues towards solutions, but did not have a way to suss out their order, creating even more guess and check nonsense. A lot of puzzles had audio cues that repeated if you moved or removed the items, which slowly eroded our sanity. 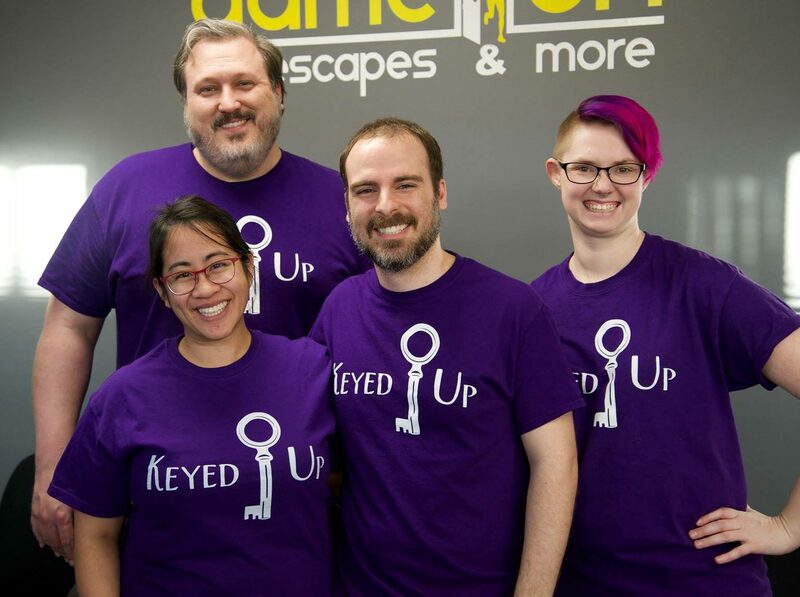 Mine Shift really should be Last Second Escape’s best room, but our experience was absolutely destroyed through a combination of reset failures, finicky puzzles, and staff indifference. Though there are some puzzles that would count as a minor groan here and there, these issues magnified the problems within the room and conspired to deliver one of the most subpar experiences we had in Richmond. Until these problems are fixed at a basic level, I’d give this one a miss. You can book your time with Willy here. Full Disclosure: Last Second Escape provided discounted tickets for our group.